When KAPOW Wrestling was born, Priscilla Queen of the Ring was at the forefront of the colourful revolution. Headlining our first ever Main Event and now, 5 years later, finally taking her rightful place at the top of the rainbow ladder! At the same time Steve Luthor debuted his League of Ordinary Gentlemen and sought to destroy KAPOW’s ethos in favour of a bland, traditional, black and white aesthetic. 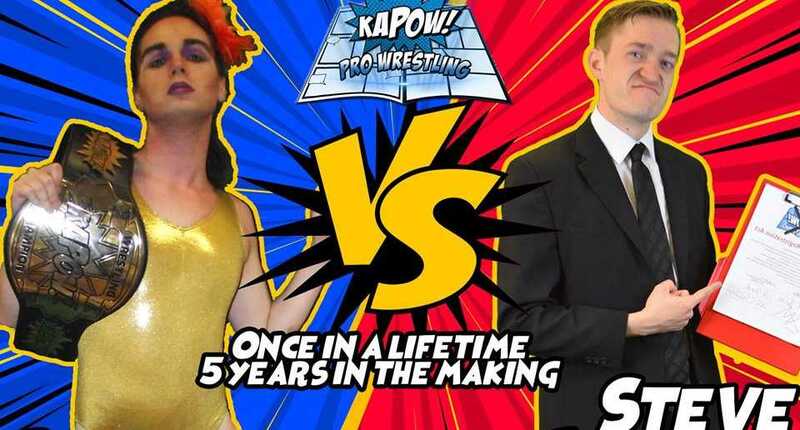 Both wrestlers have been on a tumultuous journey since KAPOW’s inception. Priscilla’s attitude shifted as she dropped her alliance with Rishi Ghosh and went out on her own. The League disbanded as Luthor rose to be KAPOW GM. Luthor took his fight to colourful characters such as El Technico Supremo, The Trashman, Mjr. Lee Buff and more – but has never faced Priscilla! 5 years in the making! The first time ever! 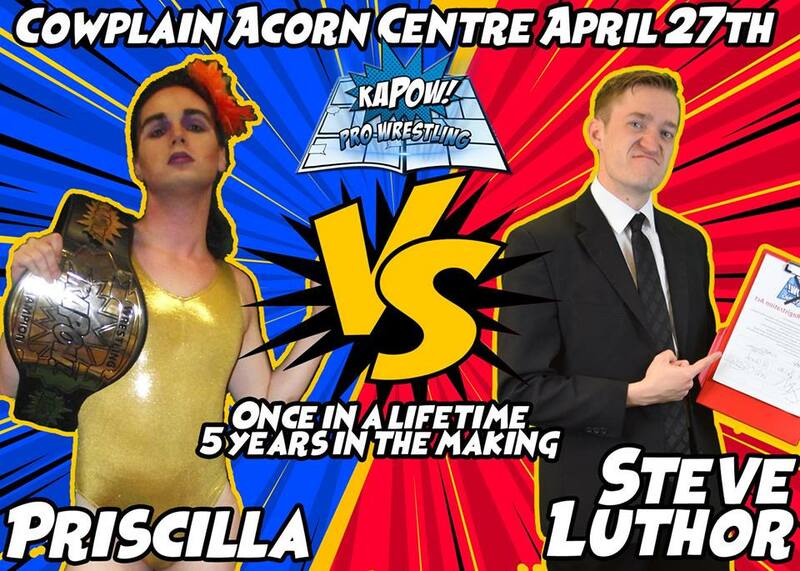 For the KAPOW Heroweight Championship – Priscilla vs Luthor!